Chris hopes Glee will help him and his costars get past Cory Monteith's death. Chris Colfer hopes filming the new season of Glee will help him and his costars get past Cory Monteith's sudden death. 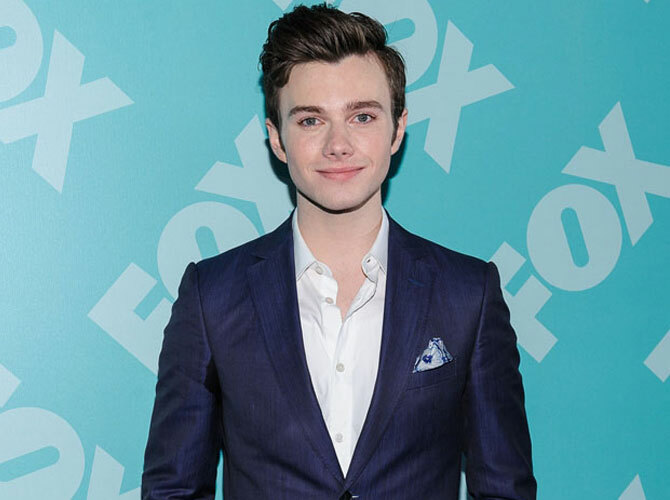 The 23-year-old actor—who portrays Kurt Hummel in the comedy drama show—admits he and the rest of the cast have had a "rough few weeks" since Cory, 31, was found dead in his hotel room in Vancouver, Canada, but hopes the show will help them all to heal. He told Live With Kelly and Michael on Wednesday, August 7: "It's been a rough couple of weeks. But we're hanging in there. We're doing good. "We started (filming) on Monday. I haven't been there yet myself, but I think it'll be good to kind of reconnect with everyone." Cory's girlfriend of more than one year, Lea Michele, 26, tweeted her first picture from the set on Tuesday, August 6, and hinted getting back to work is helping her to cope with her grief, writing: "Feels so good to be home...#GleeSeason5." The cast held a special memorial service for Cory, who was cremated in Canada, late last month in Los Angeles. Meanwhile, it was recently revealed that Emmy producers are currently planning the best way to pay tribute to Cory at the awards ceremony, which will take place at the Nokia Theatre in Los Angeles on September 22. Executive producer, Ken Ehrlich, previously said: "Something that reflects an homage [is being planned, but] what the extent of that is, or how we're going to approach it...well, it's too early to tell."